Sometimes you would need an invitation letter from a Pakistani national or from a registered travel company. To apply for the visa you need to have a very specific travel itinerary and you should know with advance the names of the places and cities you want to see in case you have an interview in the Embassy just as I did. Traveling in Pakistan is very easy. Big cities like Islamabad and Lahore have Uber but you can always take a taxi or a tuk-tuk. The best way to travel between cities is by bus or by plane due to the long distances. Cheap flights are available, but if you don’t want to miss the amazing landscapes, I will recommend you to take a bus. The best option is Daweoo Express it is the safest and fastest way to move around. You can buy your ticket directly at the bus station or buy it online if you want to assure a seat. As well you can get a share taxi to be more comfortable during long-distance trips or hire a private car with a driver. However, I won’t recommend hitchhiking in Pakistan because of the multiple checkpoints you will find on your way. Even though Pakistan is very safe, you will face a lot of checkpoints. That’s why I recommend you to carry your passport with you all the time and bring with you at least 20 copies of your passport and visa. Accommodation in Pakistan is easy to find. I always booked a hotel or hostel before arriving at each destination. Be sure to reserve a room during public holidays because Pakistani people love to travel around their country and all rooms might be booked. 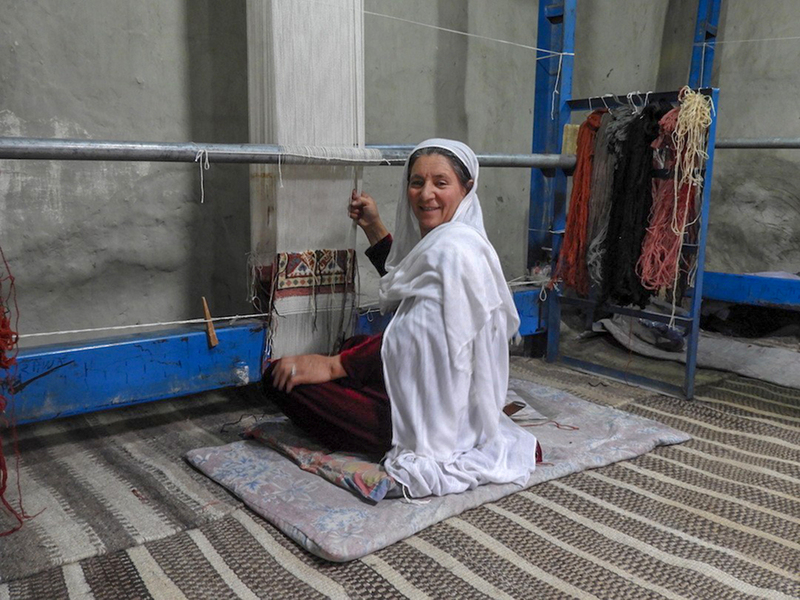 However, Pakistani people are so friendly they never let me pay for a room, people always offered me a room and tea. Most of the nights I slept in someone’s home and it was amazing to experience the local life. Pakistani are so friendly they will always offer you great food and of course the best chai in the whole world. 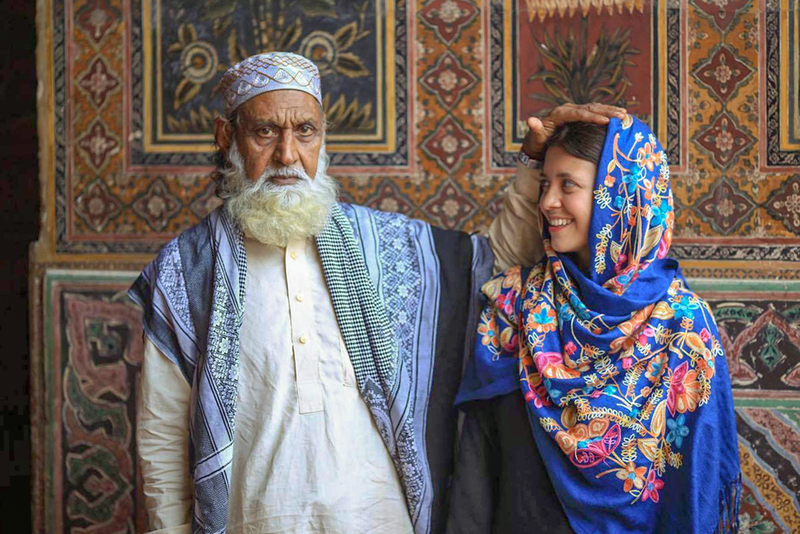 So if a family offers you a room to sleep, don’t feel shy and experience the culture. 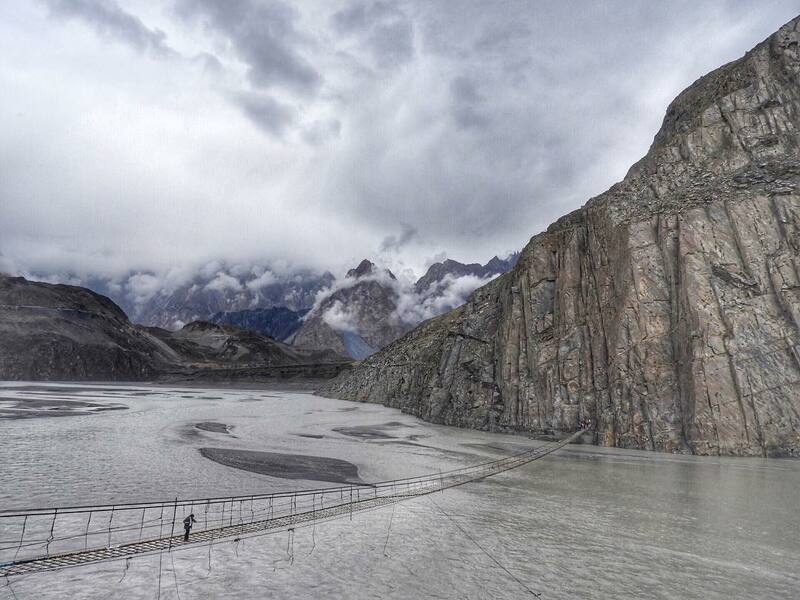 Here are few places that I visited during my stay in Pakistan. My flight arrived directly in the capital and I stayed at Shelton Guest House. I'm not a fan of big cities but it deserves at least one day of your itinerary. You can take a taxi to move around or if you get a sim card you can ask for an uber or cream, a very popular app to get taxis in Pakistan. 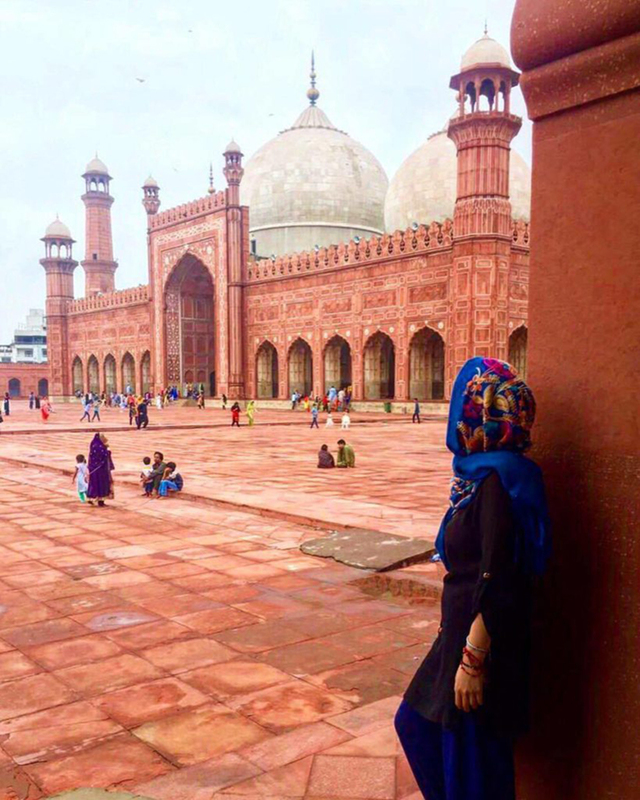 Some places you must visit while you are here are the Pakistan Monumento, the Heritage Museum, and Lok Virsa, which are located in the same place. 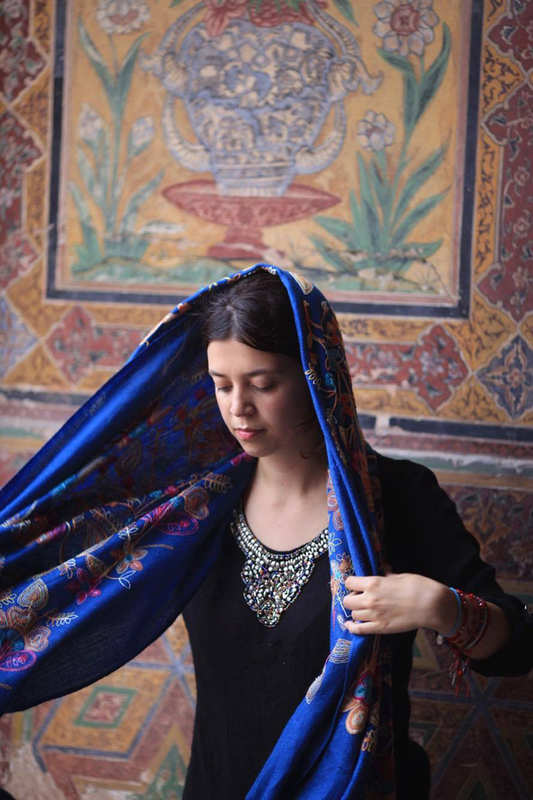 Lok Virsa is a place where you can hear local music, buy handicrafts, and there is always a cultural event to see. You can see online the program and see what kind of activity you are interested to see. Of course, you can’t miss the Faisal Mosque. 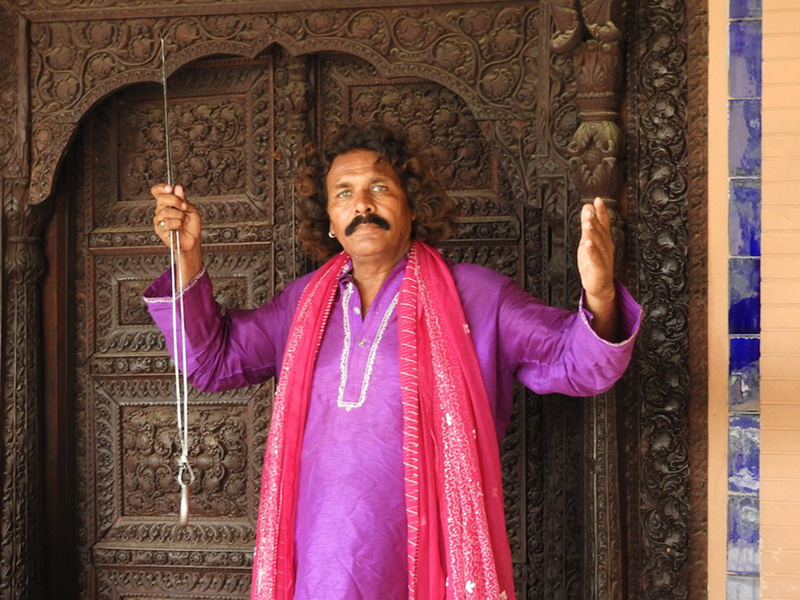 A Pakistani musician outside the Museum of History of Islamabad. Music is a very important part of Pakistani culture. 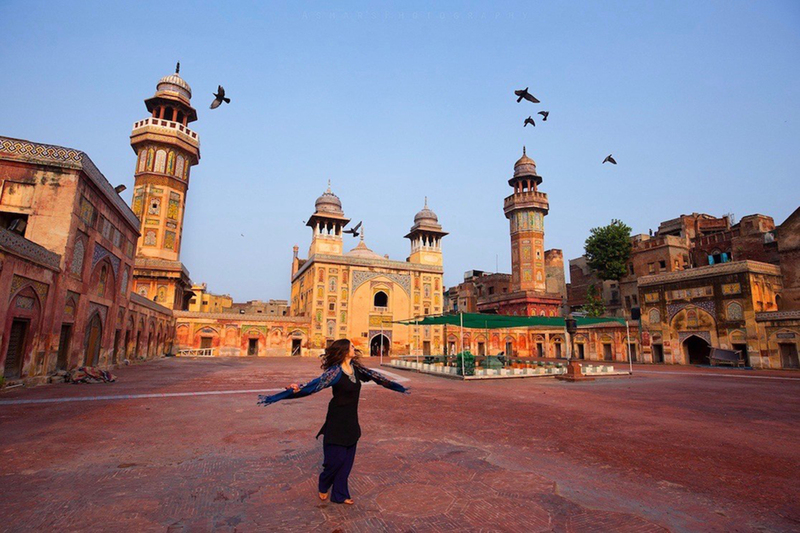 Local people say that “if you haven’t been to Lahore you haven’t been born.” Lahore is considered the Paris of Pakistan. 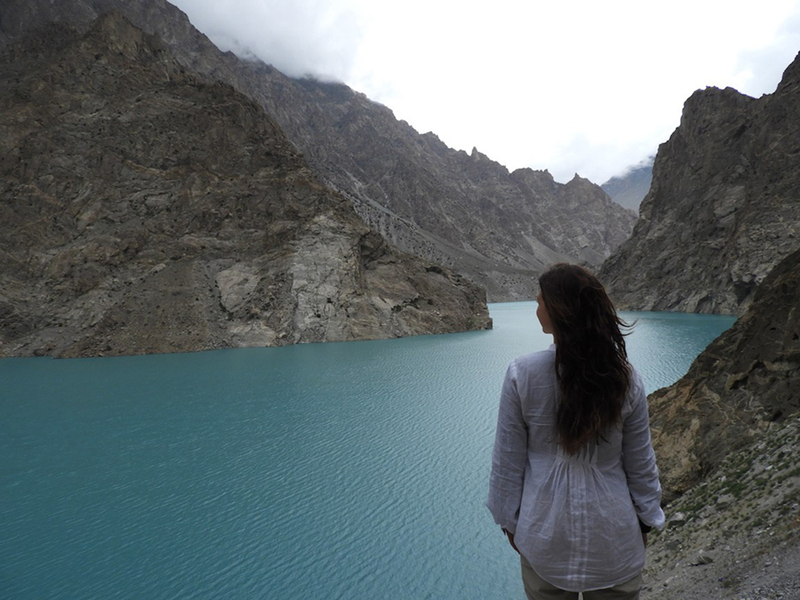 I stayed in Lahore Backpackers, the owner speaks fluent English and will help you with any tourist advice you need. You will surely meet other fellow travelers there. If you are in Lahore, get in touch with let's go to Pakistan. These guys are inviting and hosting foreign tourists from around the world; giving them a chance to experience the real Pakistan. 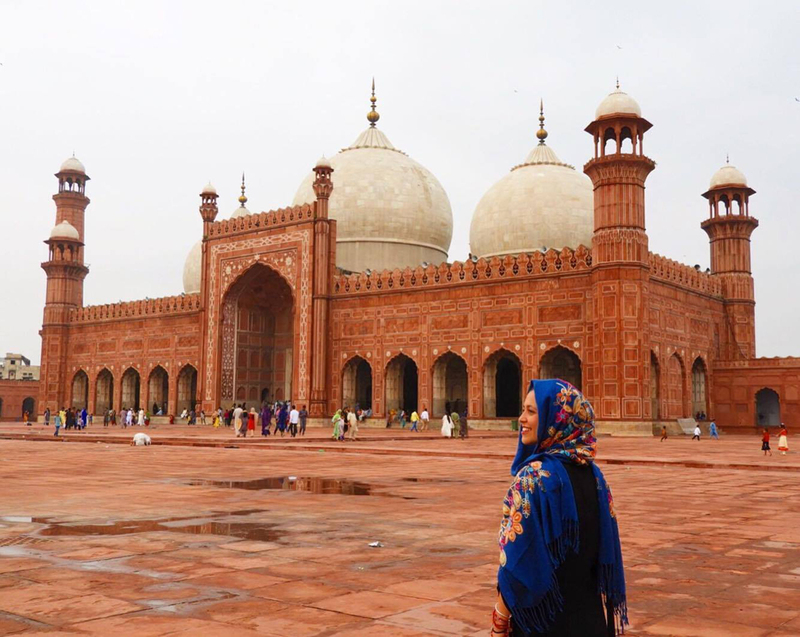 Local people say that "if you haven't been to Lahore you haven't been born"
Places you can’t miss in Lahore are the Badshahi Mosque which is one of the most splendid and stunning pieces of Mughal architecture and one of the biggest mosques in the world. 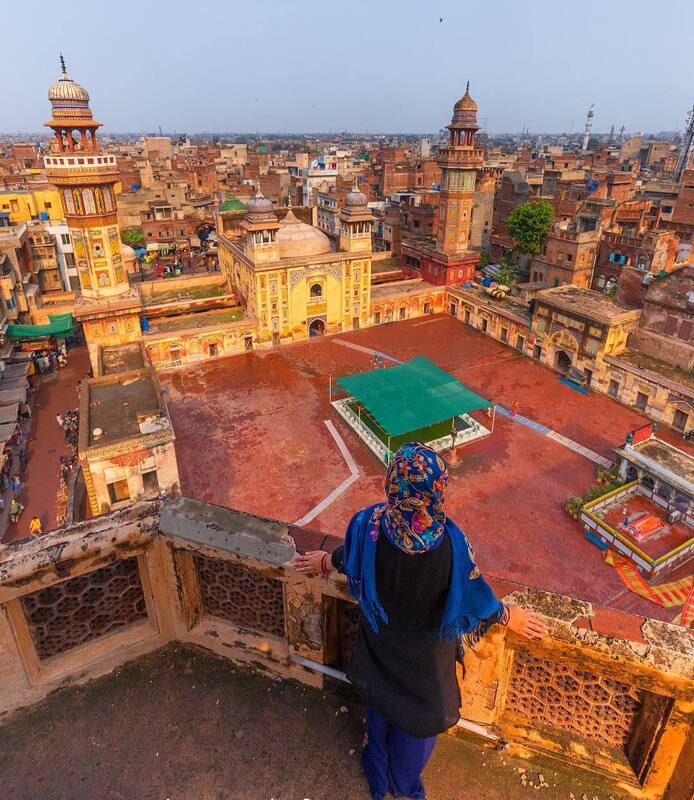 Other beautiful mosques you must see are Wazir Khan Mosque and Sohneri Mosque. 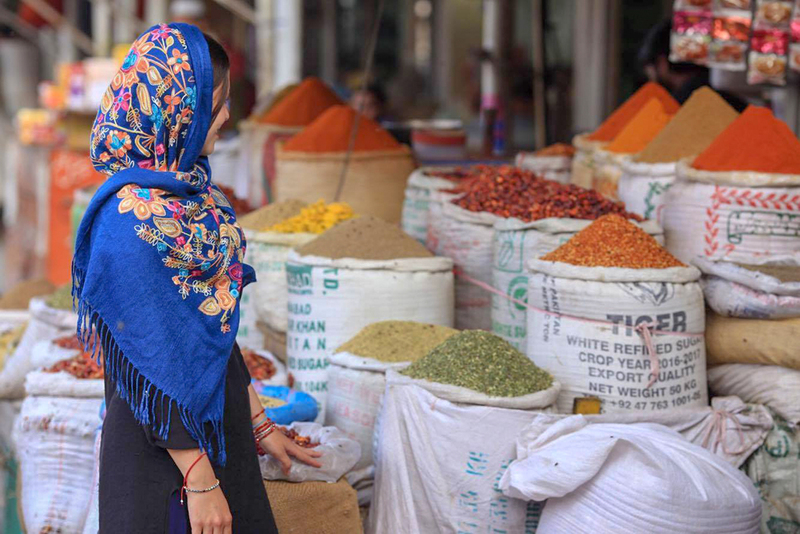 Additionally, you should visit the biggest spice market in Asia, Akbari Mandi, and the Food street where you can find rooftop restaurants with an amazing view and live music. 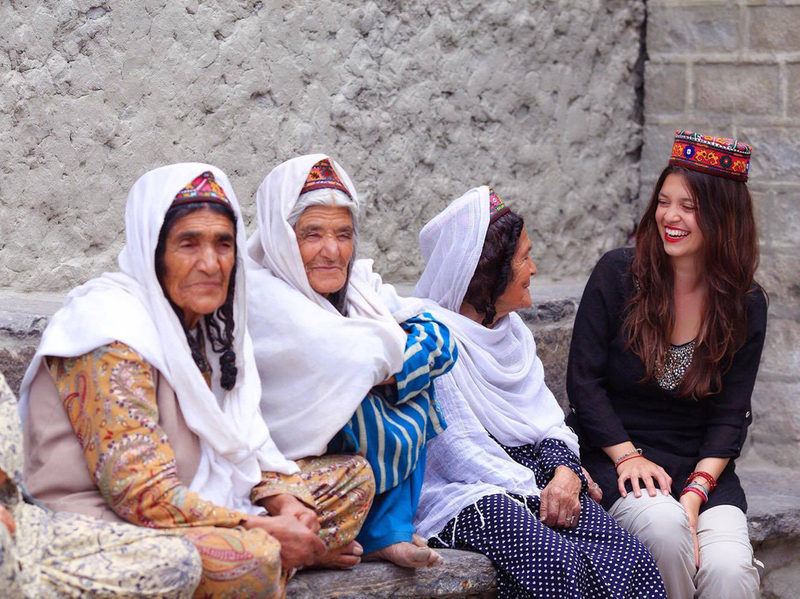 Sitting with elder locals in Hunza Valley. 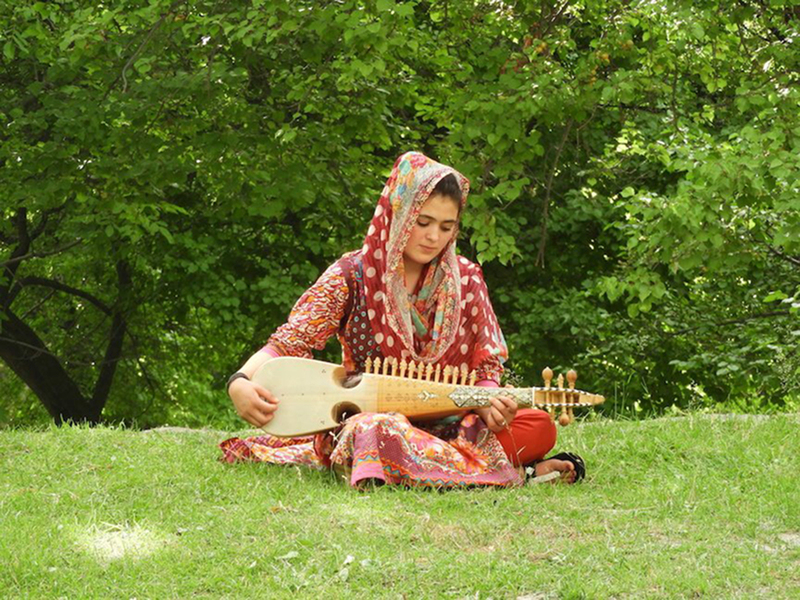 A female playing rabab in Hunza Valley. I took a bus from Gilgit to Chitral. It is a very long ride with too many checkpoints but it is totally worth it. Don’t forget to carry at least 15 copies of your passport with you. 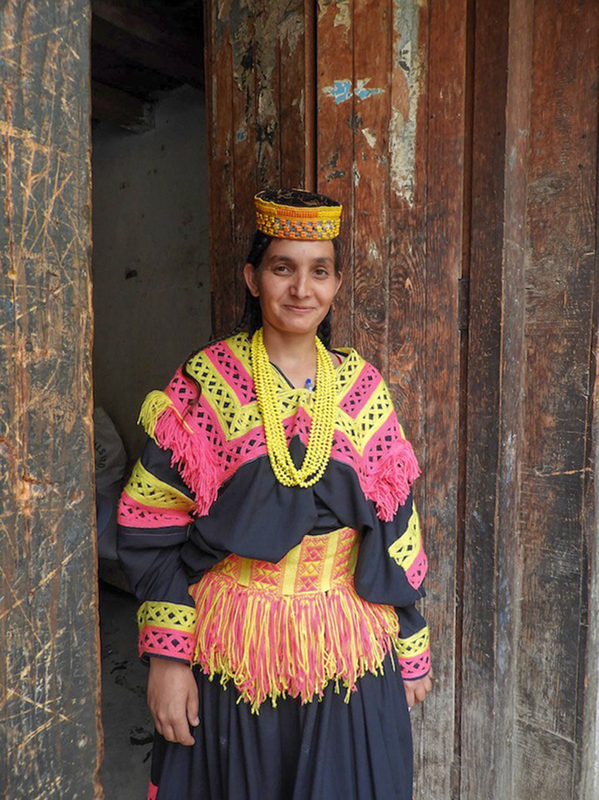 I just slept one night in Chitral and the next day continued my journey to the Kalash Valley. I slept in Jumeiran Continental Hotel. The security situation in Pakistan is very good, even better than what I thought and expected before arriving in the country. As with every country in the world, there are some areas prohibited for foreigners, like the border regions with Afghanistan. Nevertheless, you can get access to some prohibited areas by getting a NOC (no-objection certificate). You can get this document in any big police office. 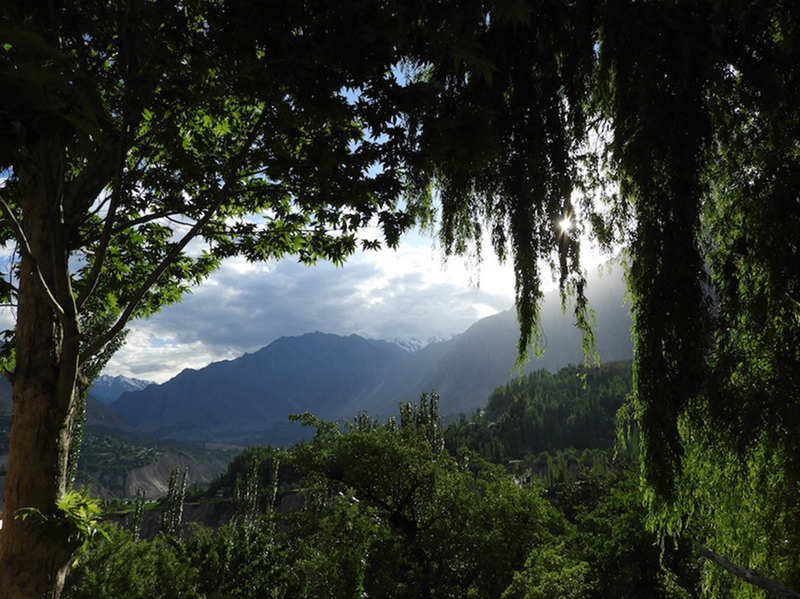 Due to the proximity with Afghanistan and security issues with the Taliban years before you need to apply for a NOC to be in Chitral and surrounded areas. You just have to pay and sign some documents and then they will provide you private security. This was one of the most interesting experiences I ever had. I never had private security before and it was pretty fun. 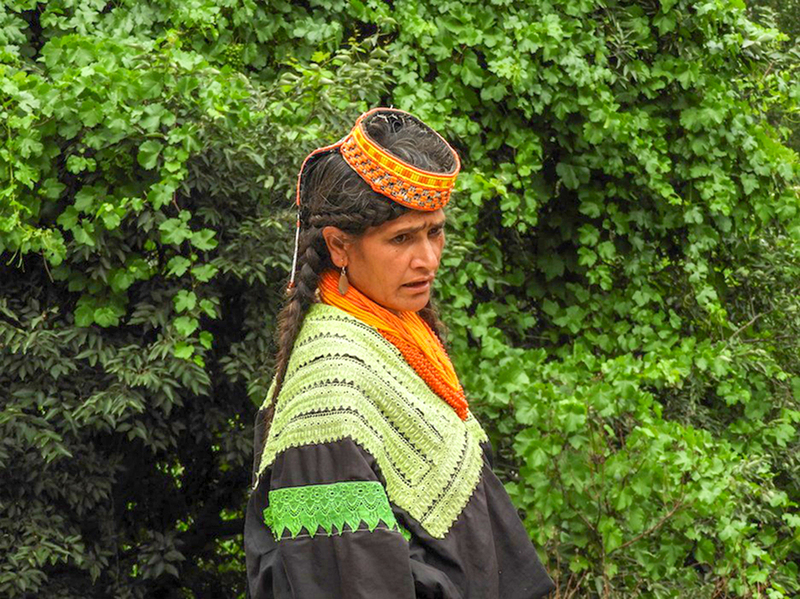 I applied for a NOC in Chitral, to see the Kalash people. I had a police officer and an anti-terrorism officer with me during my 3 day trip to this region. They always took care of me and helped me with anything I needed. The best part is that the government offers it for free. - Content and Photos by "We Are Travel Girls Alessia Ramponi"